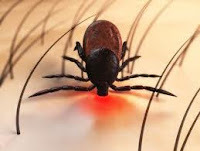 Lyme Disease: How Do You Know Your Medicine Is Working? While it is generally agreed by all that Lyme Disease is caused by a spiral-shaped bacteria called Borrelia burgdorferi and several other co-infections, determining what medicine will work for your unique body is far from scientific. The reality is that as different as you look from any other person on the planet, your internal organs, tissues, and biochemistry is just as unique.